We are entering the Yule season, the darkest time of year here in the northern world. Of course we have Christmas and Kwanza and Saturnalia to distract ourselves from the endless cold gloom, but it is still a bit early to write about those topics. I need something colorful and splendid…perhaps from the other hemisphere where everything is beautiful late spring majesty. 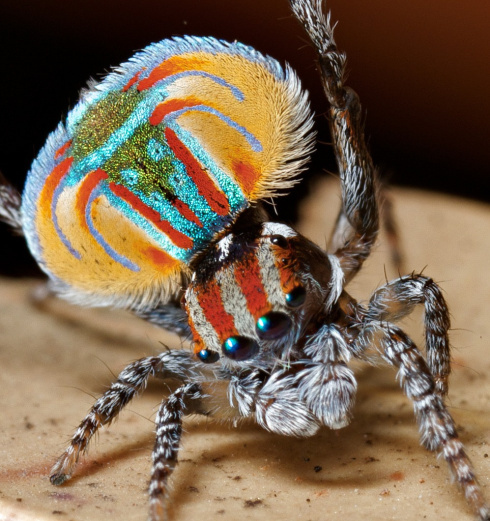 Behold the stupendous color and masterful dance of the peacock…spider. I feel this jaunty little spider is a perfect spirit animal for artists.